The Jockey Club, 21 Overlea Blvd, Toronto, M4H 1P2 - condo for sale. Not intended to solicit clients currently under contract with another brokerage . Thinking about MOVING? Call US. Now! Better and Bigger "Condo For Sale" is ready for you at the lower part of the page. Condo For Sale has been move to the lower part of the page. Let me know how you think. Thanks. 21 Overlea Blvd is a condo project in the community of Thorncliffe Park in Toronto, Ontario, near Overlea at Thorncliffe Park. Features in this building: Exercise Room, Recreation Room, Sauna, 24 Hour Security, Squash Court. Find Condo Buildings in the Community of Thorncliffe Park. (List, Map, and Prices, and more.). 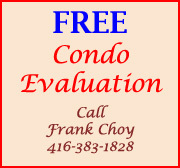 Find Condo Buildings near 21 Overlea Blvd. (List, Map, and Prices, and more.). Please note that price of property depends on market condition and its size, upgrade, view, location, etc. Call me for details. Please also note that our data excludes transactions outside MLS system. GTACondoTeam & Partner, Thank you. Data and/or links at this web site have not been audited for their correctness and/or completeness. Independent verification for the accuracy of the information is advised prior to taking any action based on the content of this web site.